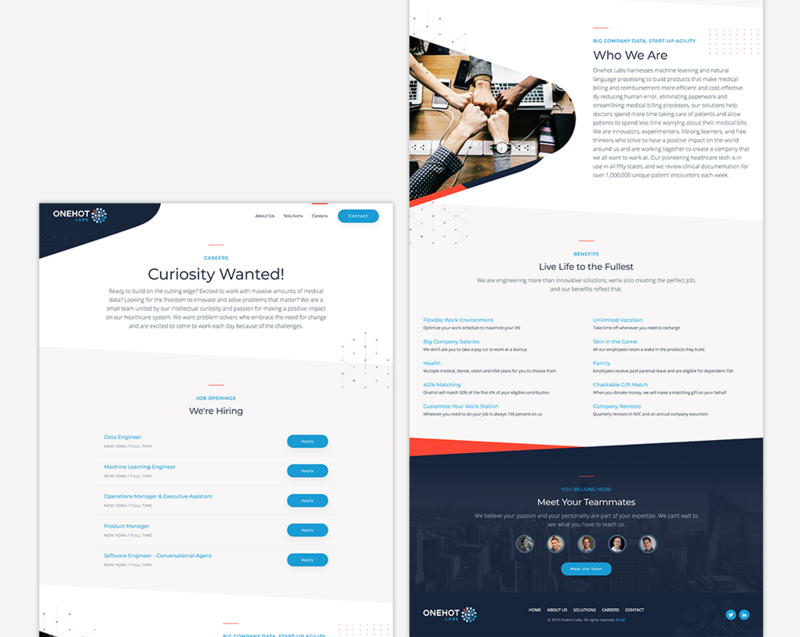 We originally worked with Onehot Labs for their brand and some strategic marketing pieces, so we were thrilled with the opportunity to take a deep dive into their company culture and produce their website. 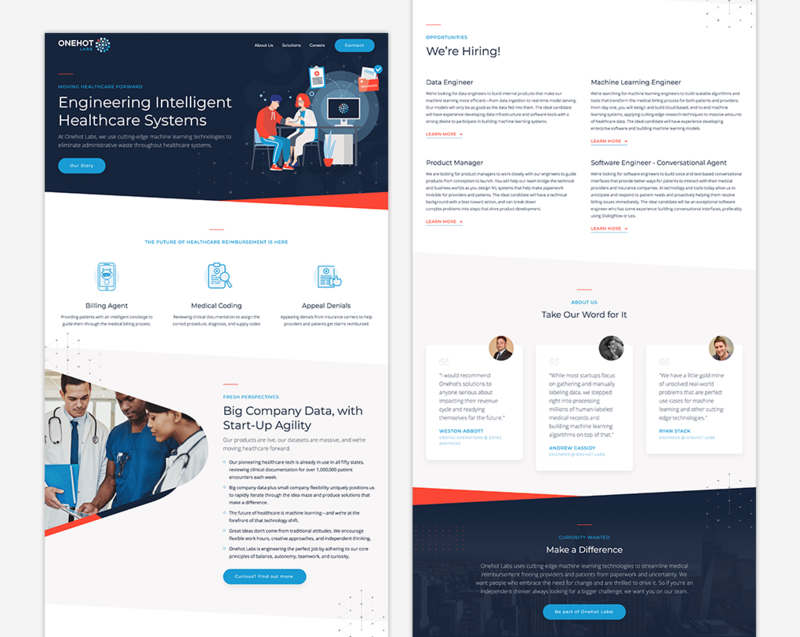 Our goal was to use digital illustration and intentional design elements to create a website that stood out from the crowd and presented a seamless user experience. In short: Onehot Labs uses cutting-edge machine learning technologies to eliminate administrative waste throughout healthcare systems. 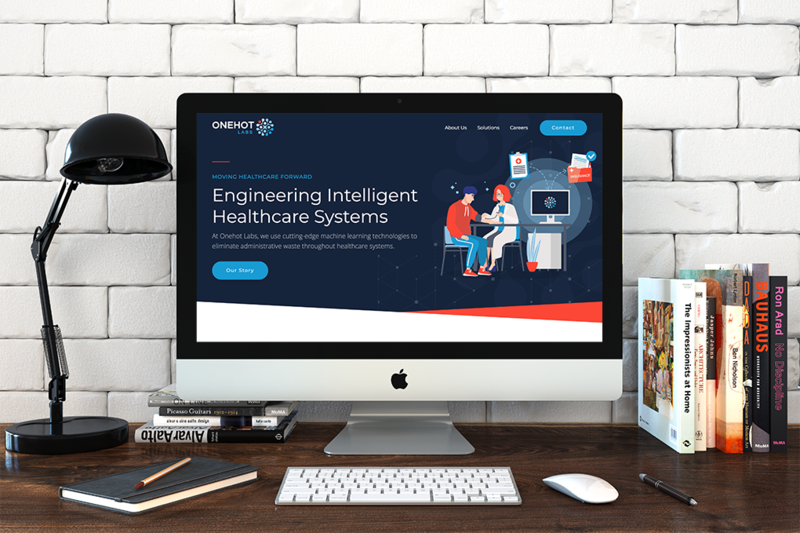 Onehot Labs harnesses machine learning and natural language processing to build products that make medical billing and reimbursement more efficient and cost-effective. By reducing human error, eliminating paperwork and streamlining medical billing processes, our solutions help doctors spend more time taking care of patients and allow patients to spend less time worrying about their medical bills. We are innovators, experimenters, lifelong learners, and free thinkers who strive to have a positive impact on the world around us. Onehot Labs achieves our transformative results by pointing small, independent teams at massive problems with lots of data. We do more in less time, thanks to our collaborative, trusting work environment and our shared desire to have a positive impact on the world around us. We have a history with Onehot Labs, because we’ve worked on their brand and other marketing materials, so we were already well versed in what makes them unique. 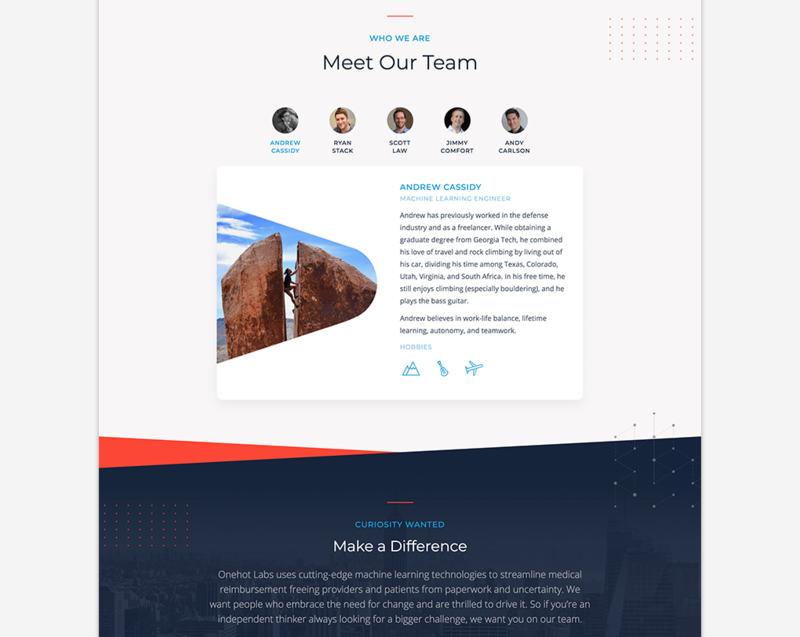 The goal for this site was to use it as a vessel for attracting talent for their growing team. 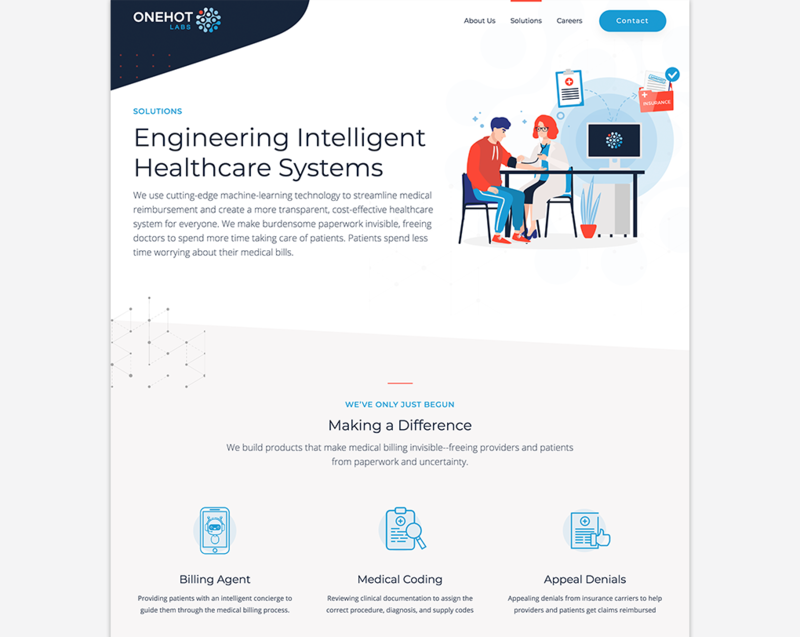 With that in mind, we shifted our focus to highlight why Onehot Labs is a great place to work, used custom icons to highlight what makes each team member unique, and created illustrations that highlighted how their changing the game in the health tech industry.